Get Ready, Get Set…Minion Run! The series of fun runs that kicks off with an energetic Minion–themed 5K, will be held on Saturday, May 11, 2019. The inaugural Minion Run, featuring Illumination’s mischievous Minions from the popular “Despicable Me Minion Mayhem” ride, invites participants ages five and older (of all experience levels) to wind their way around Universal Studios Hollywood and through parts of Universal Studios’ historic backlot, made famous in more than 8,000 movies and television shows. The run will give participants an unprecedented insider’s view of the Entertainment Capital of L.A. Starting at Universal Studios Hollywood’s iconic front gates, participants will pass through some of the theme park’s immersive areas and attractions before winding their way along the historic backlot and into the magical world of movie-making as they head toward the finish line at CityWalk’s 5 Towers outdoor concert stage. 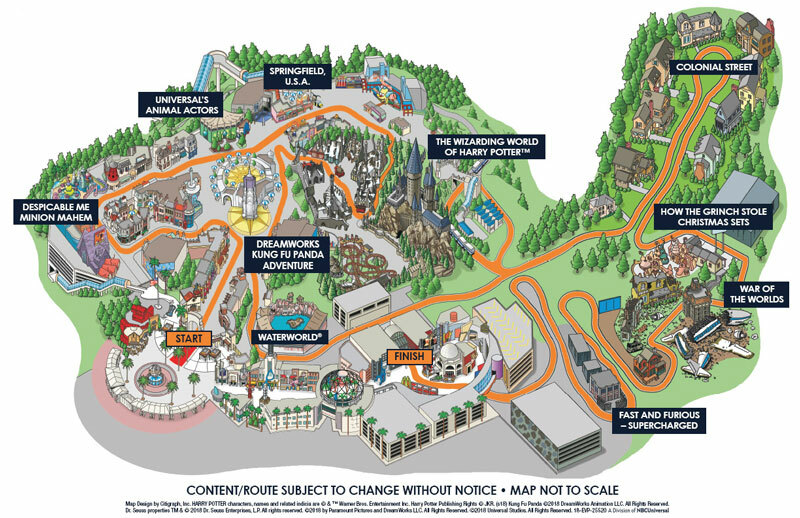 Along the 3.1 mile course, participants will be entertained by some of their favorite Universal Studios Hollywood characters including the Minions. The program will begin at 6 a.m. and culminate at 7:30 a.m. with a memorable awards and closing ceremony. Registration is now openand space is limited. For more information about the standard, VIP and Fan packages, visit https://www.runninguniversal.com.